The Russian President's Special Envoy for Afghanistan Zamir Kabulov commented on the new US strategy towards Afghanistan at a press conference, following the meeting of the Russia-NATO Council in Brussels. Russia is waiting for NATO's reaction “about helicopters without identification marks that were seen over the territory of Afghanistan. We did not receive any answer," the diplomat noted. 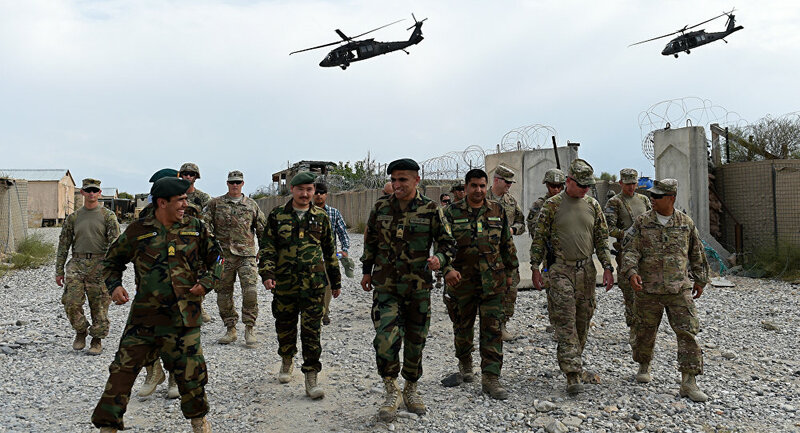 NATO has not provided any documentary evidence to support its accusations of Russia supporting the radical Afghan Taliban movement, Zamir Kabulov added. “As far as the arguments go, if you mean proof, there was no proof provided aside from words,” he told reporters. Last week, NATO Secretary General Jens Stoltenberg said that the meeting on October 26 will focus on conflicts in Ukraine and Afghanistan, as well as ways to reduce the risk of collisions and accidents during military exercises.